Kai Eide, the former UN special representative to Afghanistan, has been very vocal in his criticism of the Obam Administration’s approach to the Karzai government. He has blamed Obama’s civil and military leaders for the continuous strain in the relationship with Kabul. In a recent interview published by BBC Pashto, Mr. Eide was was especially critical of Obama’s envoy to South Asia, Ambassador Richard Holbrooke. 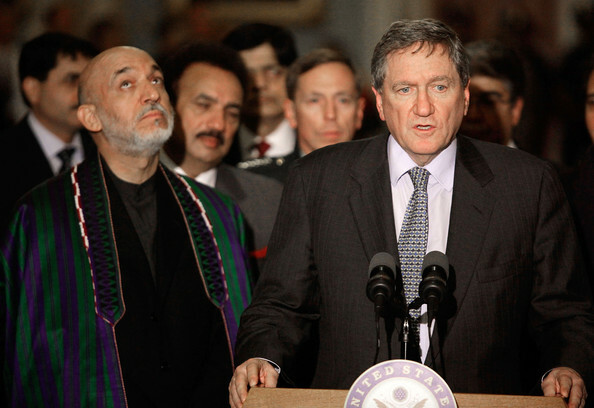 Mr. Eide claimed that Holbrooke was stubborn and unaware of Afghan sensitivities. –Mr. Eide disagreed with the decision for announcing withdrawal date, saying it has caused panic among European members of NATO. They, too, are looking for a way out now, which has strained the Afghan government’s trust in its international partners. This entry was posted on Friday, November 5th, 2010 at 11:57 pm	and tagged with Afghanistan, Barack Obama, David Petraeus, George Bush, Hamid Karzai, Kai Eide, Karl Eikenberry, NATO in Afghanistan, Richard Holbrooke, United States, United States in AFghanistan and posted in News and Politics. You can follow any responses to this entry through the RSS 2.0 feed.